Automotive locksmiths are equipped to respond quickly to emergencies. They are proficient in coming up with a variety of solutions based on your needs. People break car keys or are locked out at all times. Most automotive locksmiths are on call and ready to respond. Hence, there is no need to panic if you find yourself locked out at any time of the day. Automotive locksmiths can have investigative abilities and are often capable of determining if a lock has been interfered with or not. 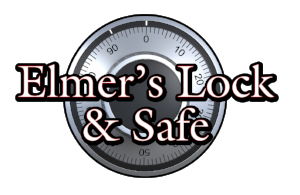 Most businesses will always contract forensic locksmiths to be on call for them. Vehicles commonly break down in remote and hard to reach areas, such as roads or freeways far from locksmith sites. Such situations are not an issue because automotive locksmiths are well equipped to help you at any location. Certified automotive locksmiths have undergone rigorous training. Automotive locksmiths get tested and hold extensive knowledge of numerous types of lock works. Thus, automotive locksmiths are prepared to fix any lock. In conclusion, automotive locksmiths are capable of performing a diverse set of locksmith solutions for both commercial and residential calls while others are known to only specialize in one.